Apple iPhone 3G, iPhone 3GS have always been growing better with a camera getting better too. It was a 2-megapixel camera without video recording earlier, which now is 3.2-megapixel in the iPhone 3GS which also helps you record videos. And the latest rumors are that Omnivision Technologies are expected to get an order for 5-megapixel CMOS image sensors for the 4th generation iPhones that are to be released next year, probably the 3rd quarter of 2010. This small indication can show us what the next coming iPhone has in its pack for the users. OmniVision snatched 3.2-megapixel CIS orders for Apple’s iPhone 3GS, beating out Aptina Imaging which supplies the 2-megapixel CIS solution for the iPhone 3G. Now they are expecting 40-45 million units as the growth is getting higher. 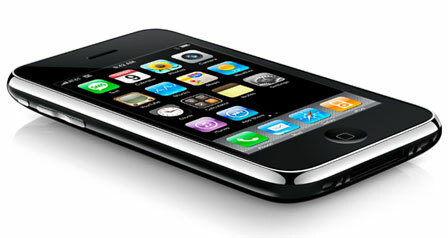 Apple iPhone has already topped the list of camera mobiles in sites like flickr etc. and with a 5 MP camera in future, its going to shoot the competitors out unless they come out with something similar(we are talking about the android devices and the HTC latest models). Its also rumored that the next generation of Apple iPhone will be coming with Multitasking, which would require a better processor, and if multitasking is seen in the new one, then no other phone would be beating the iPhone 4G. Future would tell better whether these rumors were true or false. As of now, sources have mentioned about OmniVision expecting the orders of 5-MP units.